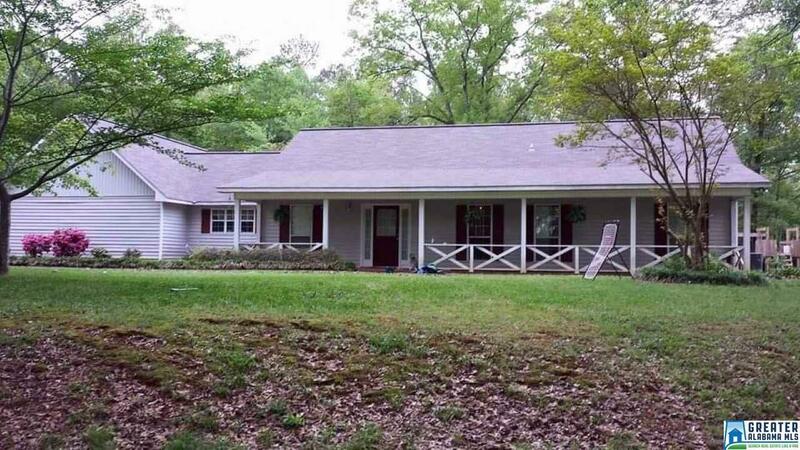 You&apos;ve got to see this adorable 3 bedroom, 2 bath home located on five acres in Talladega. It&apos;s a private piece of paradise right on the edge of the city limits. You can sit on your back patio and watch the deer. This home features a dining room, laundry room, kitchen with plenty of dining space and cabinets, walk in closets and a workshop off of the two car garage. There is a nice play area with a wooden swing set in the back yard for children. The front yard is fenced in and perfect for pets. This home is priced to sell, be sure to see it before it&apos;s gone!! Driving Directions: From Al-78 Head South On Al-21. Turn Left Onto Haynes St. Take Slight Left Onto Ashland Hwy. Turn Right Onto Mountain View Rd. Continue Onto Grogan Rd. Turn Left Onto Taylors Mill Rd. Turn Right Onto Willman Rd. Destination On Right.